In 1999, Rick Gault Training, LLC was relocated to North Carolina after 10 years of success in the Northwest. In 2001, Rick and Laura opened a brand new facility located on a nineteen acre site south of High Point, North Carolina. Today it has expanded to 42 acres. 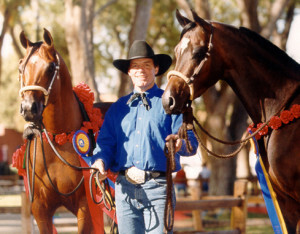 Rick has been training horses for over 35 years. He started training in Canada and has worked his way south. He specializes in all disciplines, both Open and Amateur. In order to give the personal training and attention to each of their horses and owners, the number of horses in training is limited. Laura Gault has been involved with the Arabian horse industry in many different aspects. She has shown as an amateur for 35 years. Laura loves to compete in all divisions. 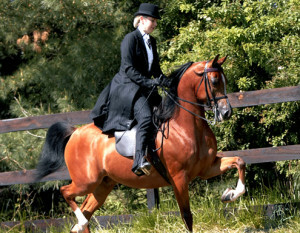 She has had National honors in English, Country, Western, Hunter, Show Hack, Side Saddle, and Native Costume. 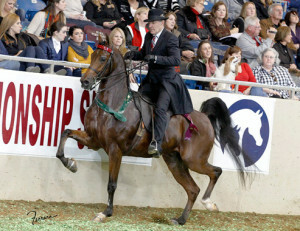 She is a Regional/National judge for the Arabian breed. Laura has also been heavily involved with the breeding end of the horse industry. She is employed with Coldwell Banker Triad, Realtors and has been selling real estate since 1990. The breeding program at Rick Gault Training has become a huge success. There are several stallions standing at the facility. Rick and Laura also own mares of their own and are enjoying seeing their “RGT” foals winning national honors in the English, Western and Hunter divisions.